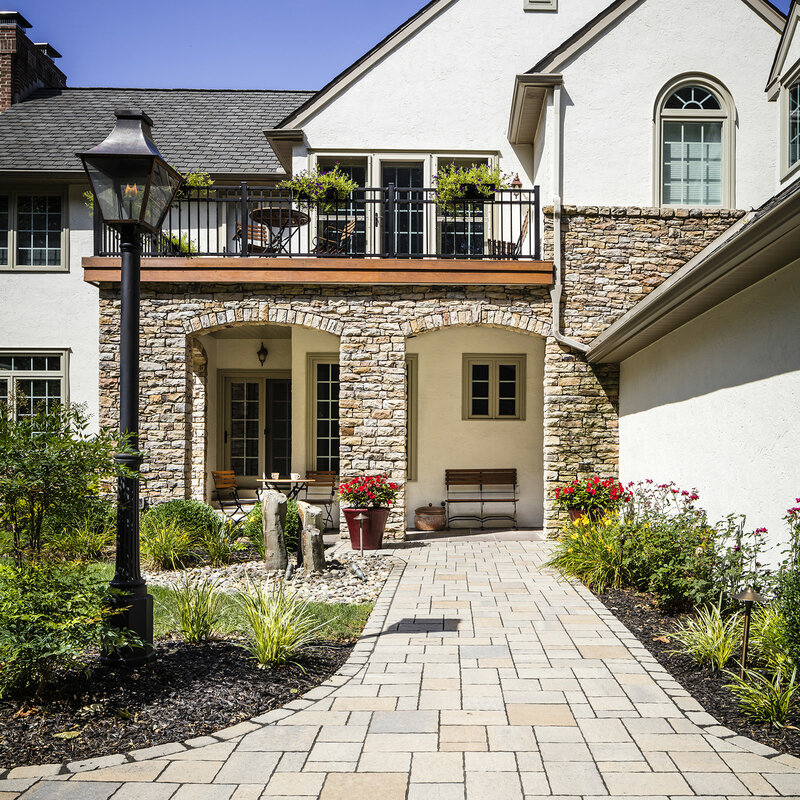 Enjoy every aspect of your outdoor space with an outdoor kitchen! When you think of comfort, what comes to mind? Is it your favorite part of your house, your favorite food or your favorite smell? 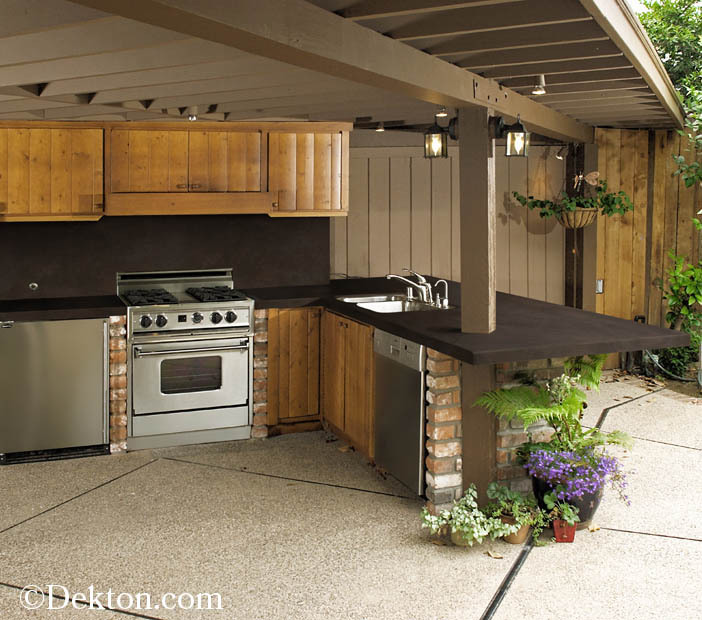 You can count on all three of these comfort aspects with an outdoor kitchen! Imagine having a relaxed outdoor atmosphere where you can entertain, cook and enjoy the warm weather while it lasts. 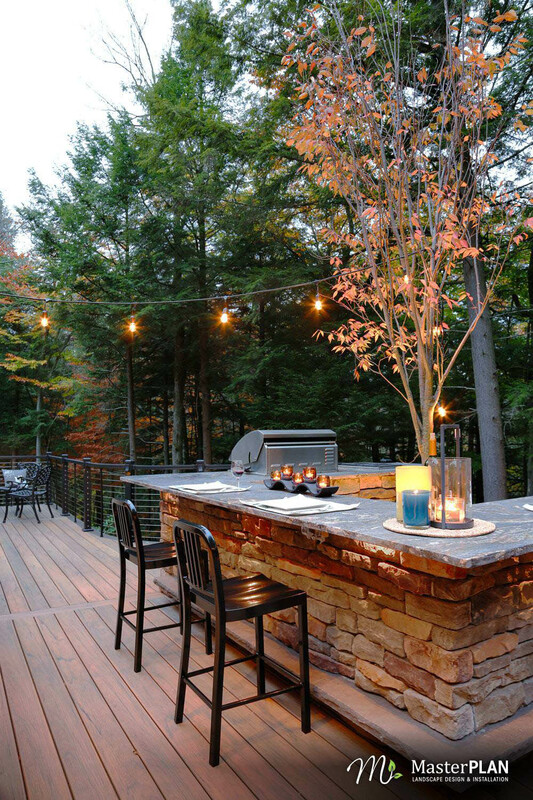 If you love the idea of an outdoor kitchen, but don’t know where to start, reading this blog is step #1! Contacting a landscape designer would be step number 2. A professional who knows all the ins-and-outs of outdoor kitchen design will ensure that the process is well thought out and designed intelligently and installed properly. 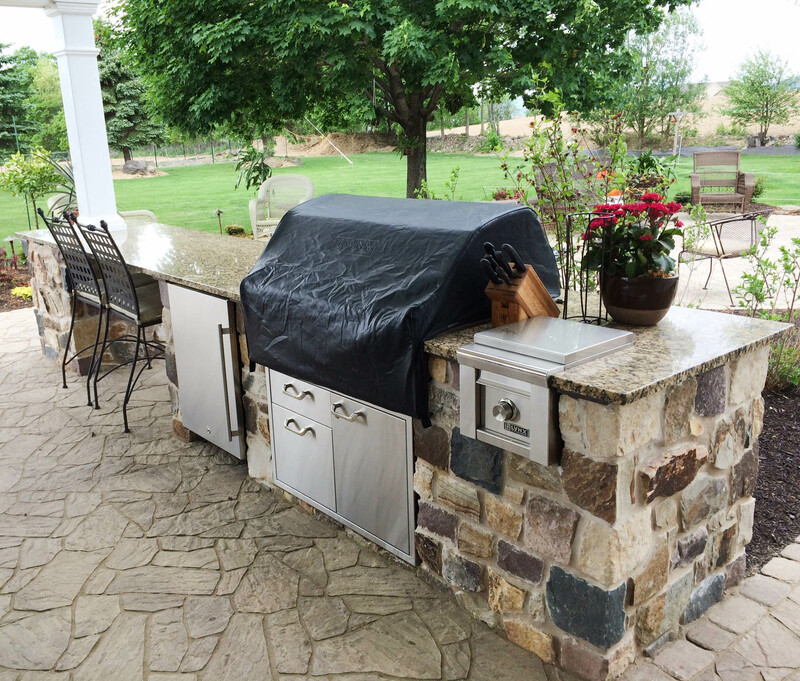 One of the most important aspects of an outdoor kitchen is safety! We cannot stress enough how important it is to have a professional install your outdoor kitchen because even the tiniest mistake hooking up your cooking stations could spell disaster. First and foremost, it is imperative that the cooking station has an emergency gas shut off valve within reach. If you don’t have an emergency shut off valve within reach, a bad situation could become grave. You also need to be sure that the grill enclosure is equipped with proper vents. If natural gas or propane were to be trapped in the unit, the grill itself runs the risk of exploding. Code compliance is key! You should also be aware that the counter-top areas around your grilling surfaces should be built out of fire resistant materials. For outdoor use, you need to choose a non-porous material that won’t absorb any oils or raw food germs. Granite and Dekton are non-porous, and the most aesthetic and functional options on the market. Granite and Dekton are durable, heat, cold and scratch resistant. No worries for germ and outdoor mold buildup here! Did you know that every indoor kitchen appliance has an outdoor rated member(s) in its family? There are so many stainless steel outdoor appliance options nowadays, the possibilities are endless to create your own custom dream space. Not only can you install a refrigerator, freezer and ice machine, but you also have the options to install dishwashers, trash compactors and even pizza ovens! By strategically placing your outdoor kitchen near your home’s electrical panel, you have the convenience of tying in to the electricity rather than having to trench lines out to the new kitchen; the same goes for your plumbing. 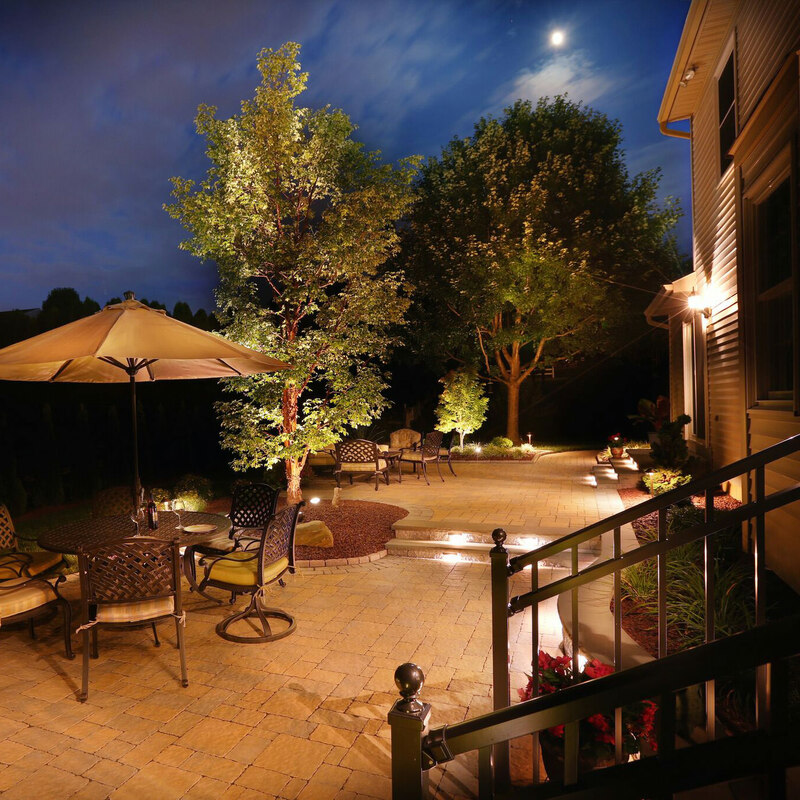 So when you are planning to add an outdoor living space, keep this aspect in mind! Having enough space outdoors to sit and enjoy your meal is important, but if you just don’t have enough space to extend a patio, you always have options. A fun, intimate and interactive way to dine on the delicious meal you just grilled your family is to have an eat-in-kitchen bar! A kitchen bar allows you to sit, eat, relax and still interact with the chef! Isn’t it true that everyone at a party always gathers in the kitchen anyway? 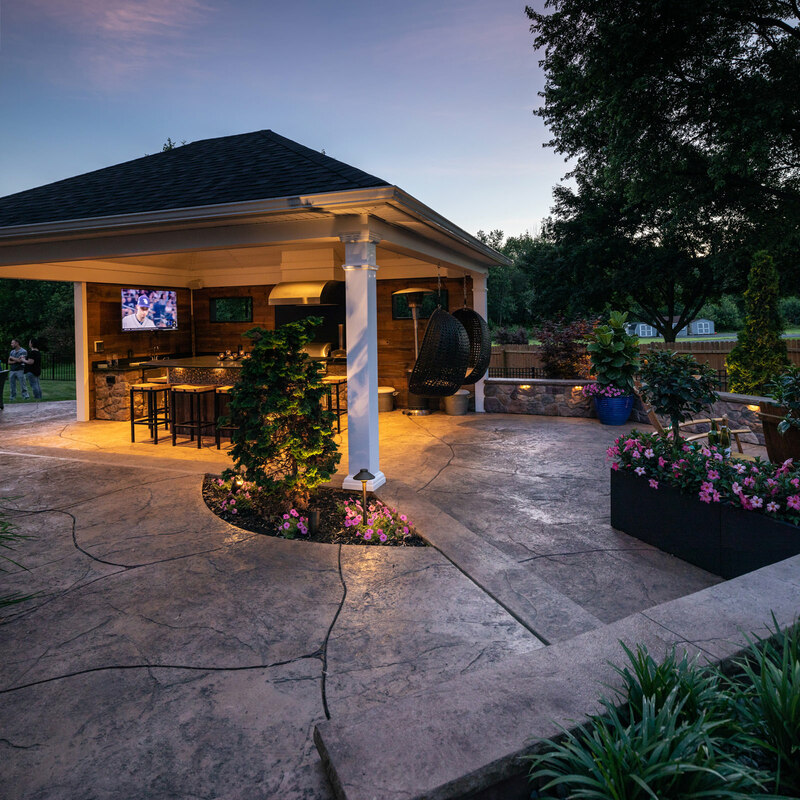 If you are planning on including an in-ground pool into your outdoor retreat plans, don’t forget to consider having your outdoor kitchen connect to your pool with a swim up bar area! Some people think that this uses so much more space, but in actuality, it saves space! By taking away the extra space you would need for people to circulate, you are adding seating for eating and drinking on the edge of the pool. Genius! 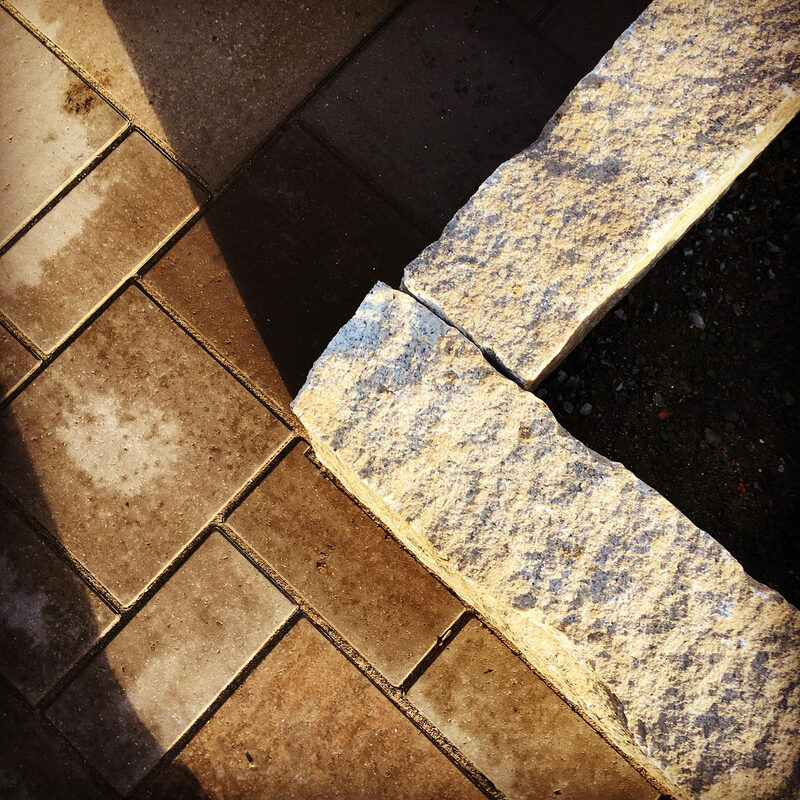 No matter what options you are looking into for your outdoor kitchen space, by consulting a professional landscape designer, you are avoiding mistakes and headaches! 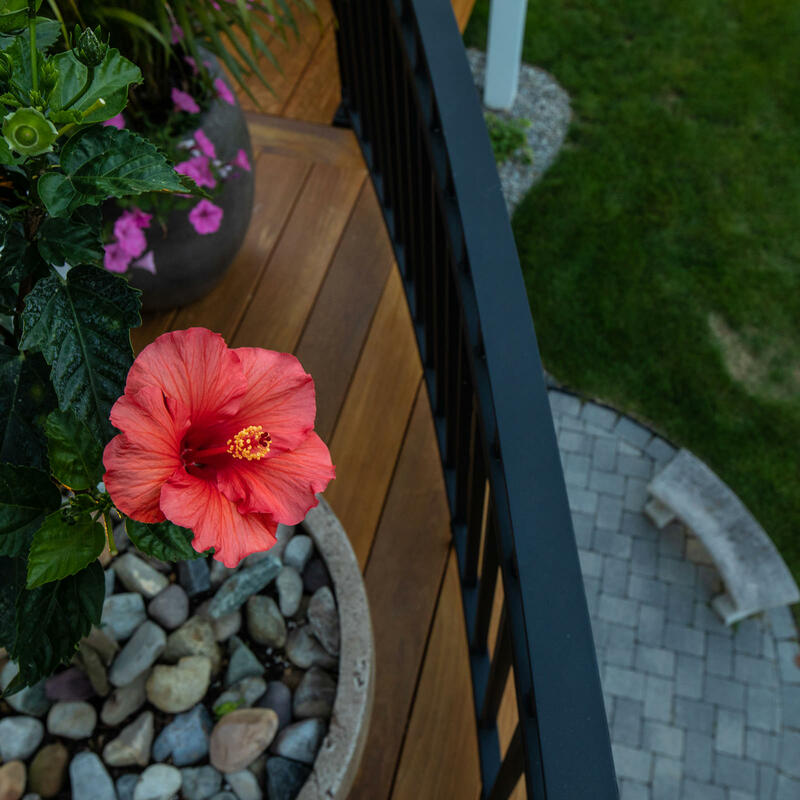 MasterPLAN Landscape Design specializes in 3D plans so you can see how your outdoor living space will look, realistically, before any ground is broken. Serving from the Poconos, through the Lehigh Valley and Philadelphia, we have you covered. Reach out to us and tell us a little bit about your project; we look forward to hearing from you!